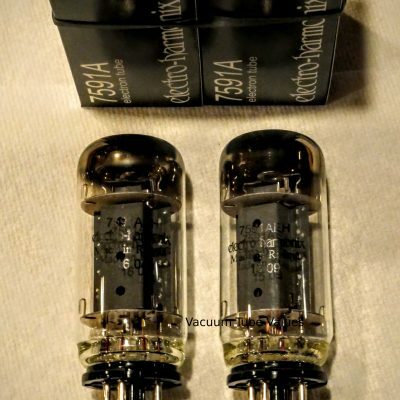 New Platinum matched PAIR (set of two) Tung-Sol 7591A tube. These are found in Ampeg and Fisher amplifiers. 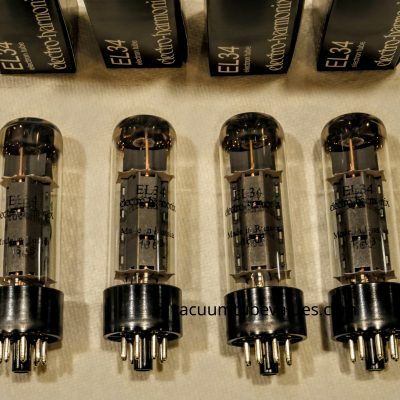 Why settle for NOS tubes of unknown quality when you can have these tubes that are burned in for 24 hours and then bias matched for plate current. 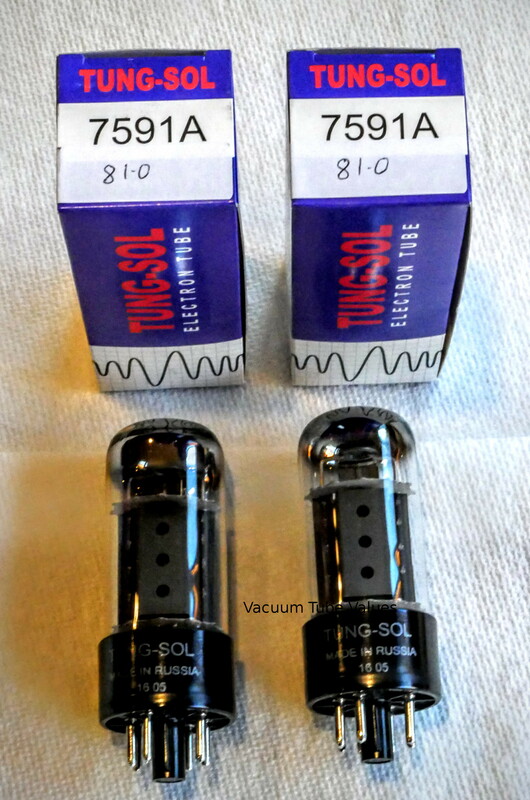 The factory matches at real world voltages and then the test results are labelled on each tube box. 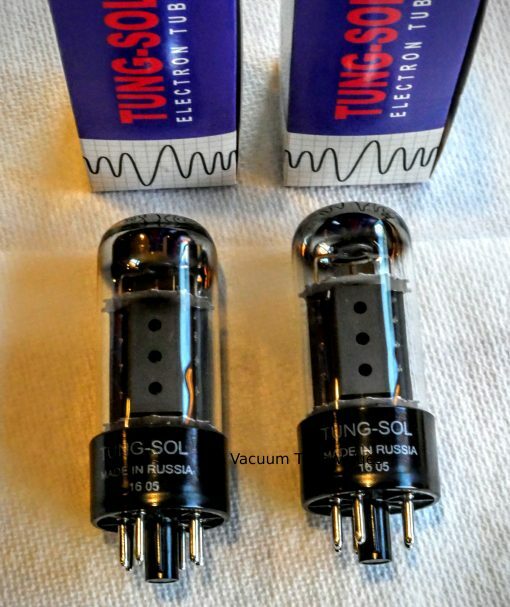 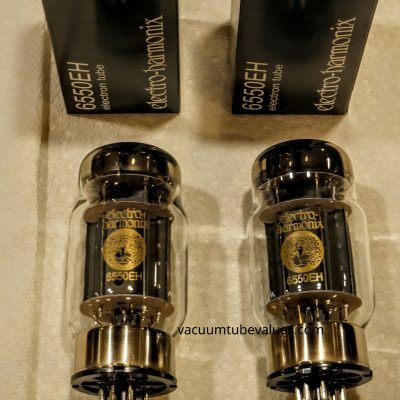 The factory matches these tubes at 400V Plate, 250V Screen and -20.52 V bias. 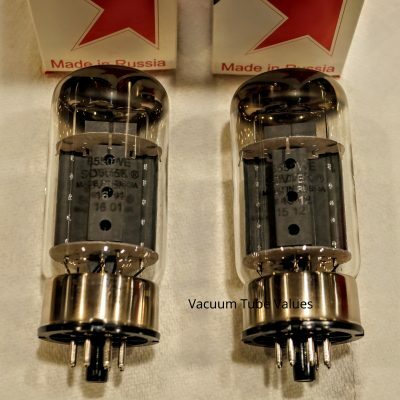 Insist on factory platinum matched tubes for best performance.